NBA free agency has officially begun, and few teams are more interesting than the San Antonio Spurs. They don’t have the cap space to chase after big names like Kevin Durant or even DeMar DeRozan without going through the salary dump process — but they can shop in the trade market. If the Spurs do the latter, there are several big names who could be moved. Let’s look at five players, whether free agents or players who could be acquired in a trade, who the San Antonio Spurs should target in order to improve their roster. 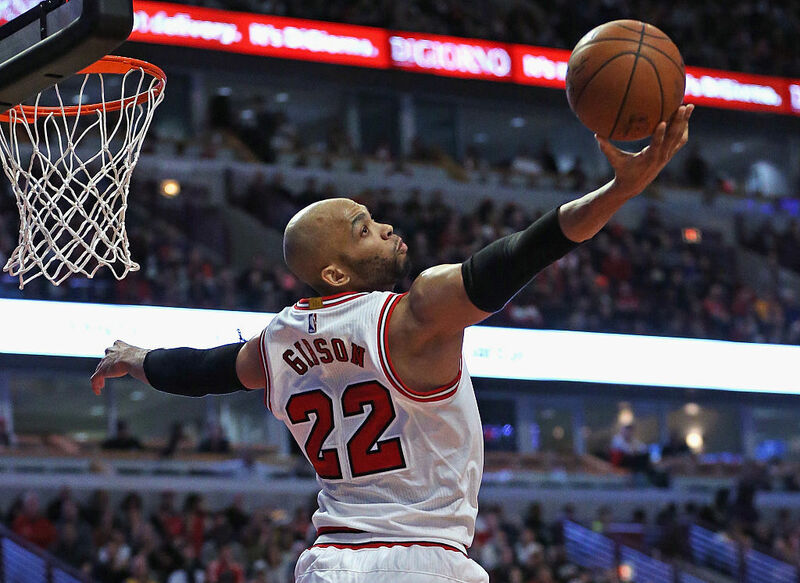 Taj Gibson isn’t a free agent, but he’s nearly a sure bet for the Bulls to move. He’s in the last year of his contract and making a reasonable $8.9 million this season. The 31-year-old is no longer a starting-caliber player on contending team, but he would be an absolutely perfect fit with Gregg Popovich’s Spurs. Gibson can hit an open jump shot on offense, and on defense he can guard the four and the five, protect the rim, and even rebound a little bit. The San Antonio Spurs would need to dump some money in order to take on Gibson’s salary and still afford a solid free agent, and the Bulls have cap space they inevitably won’t use in a meaningful way. For Chicago, it’s all about preparing to spend big next offseason. Maybe they’d be willing to take back Boris Diaw’s salary if the Spurs included an enticing first-round pick or forward Kyle Anderson. Bismack Biyombo had a solid showing for the Toronto Raptors in the playoffs, starting the Raptors’ final 10 games and averaging 8.2 points, 11.0 rebounds, and 2.1 blocks. He’s never been a scorer, but he can protect the rim, play good defense, and rebound. Once the seventh overall pick in the draft, Biyombo will only be 24 years old this upcoming year, so he still has plenty of potential. This year, big men will get crazy amounts of money in free agency, so there’s no telling whether or not the San Antonio Spurs’ cap space will be enough — unless, of course, they make some moves with their roster. If Tim Duncan chooses to retire, Biyombo would be a perfect fit with LaMarcus Aldridge on the court. 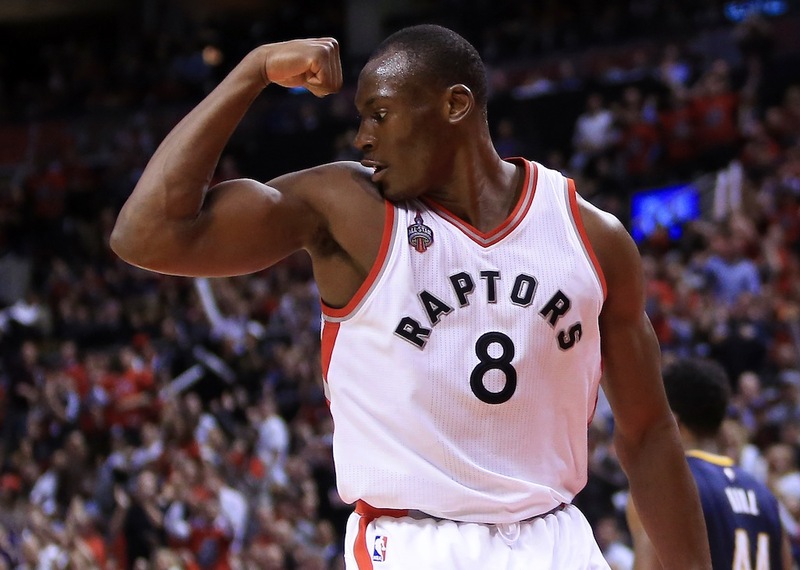 If Duncan returns, Biyombo would make an excellent first big-man off the bench. 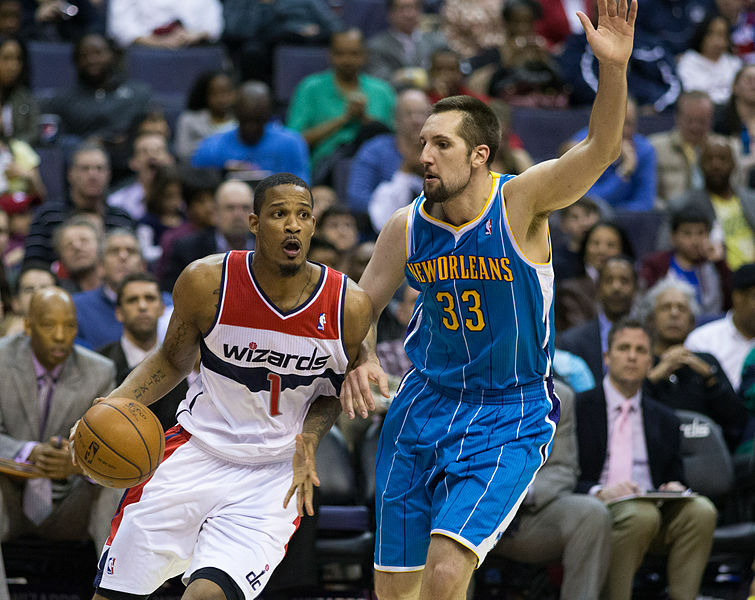 Another player who would add a new dimension to the San Antonio Spurs’ roster is stretch-four Ryan Anderson. In his last four years with the New Orleans Pelicans, Anderson averaged 16.1 points in 30.4 minutes per game, shooting 37.1% from three-point range. Anderson averaged 133 three-balls per season for the Pelicans despite the fact that he only played in 230 games in four years — or about 57 per season. He would work well coming off the bench for the Spurs as a sixth man, or he could push Aldridge to the center position and stretch the floor. To sign the 28-year-old, the San Antonio Spurs would likely need to make a move to ensure proper cap space and be able to go after other players as well. But if all they came away with was Anderson this offseason, they’d still be one of the best teams in the NBA heading into next year. 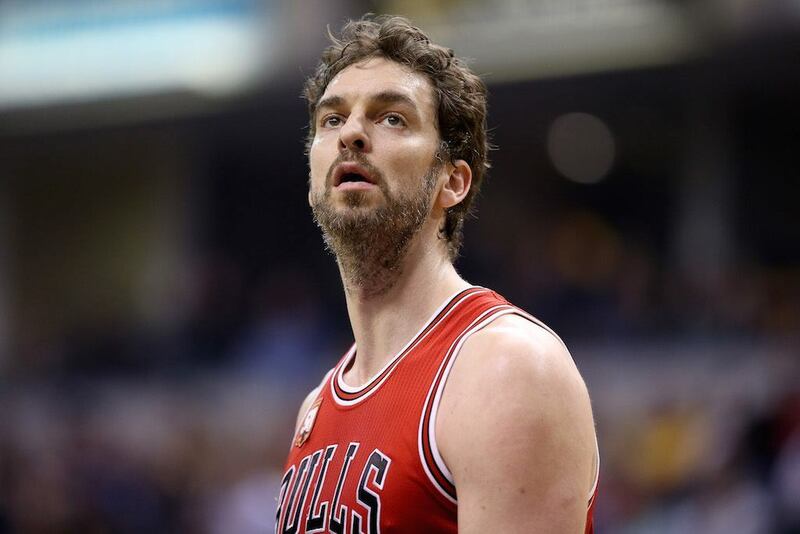 With rumors that Duncan is leaning toward retirement, the San Antonio Spurs are looking closely at former Chicago Bulls center Pau Gasol. The free agent is 36 years old, but he is still producing on the offensive end. In two seasons with the Bulls, Gasol averaged 17.6 points and 11.4 rebounds per game while shooting 48.3% from the field. The problem with bringing in Gasol, from the Spurs’ point of view, is that he’d essentially replace Duncan and start alongside Aldridge. Gasol’s defense has deteriorated to the point where any team signing him will need a strong defensive big opposite him, and this is something that Aldridge is not. If the Spurs sign Gasol, we expect their offense down low to boom but their defense to bust. 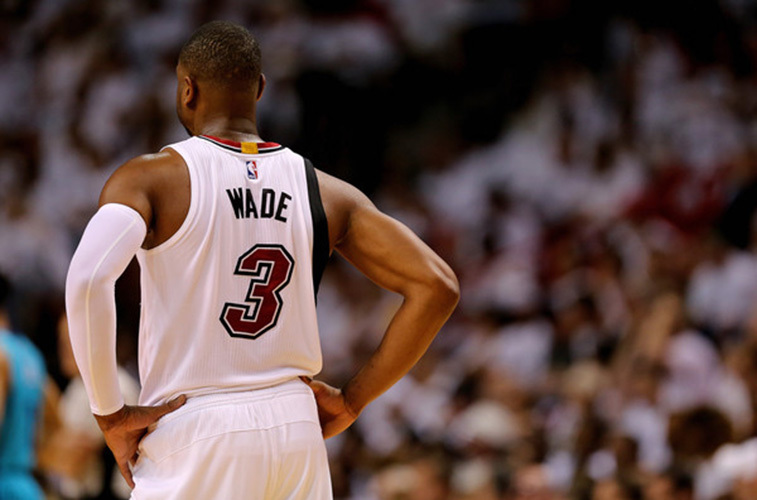 It’s a reach, but the San Antonio Spurs should seriously inquire about Dwyane Wade. Frustrated with his contract situation in Miami, he opted out of his deal to test the waters this summer. If the Spurs make him an offer involving more money or years than the Heat are willing to give him, Wade would fit well alongside Tony Parker and Kawhi Leonard. The 35-year-old played in the most games in a season since LeBron James first arrived in Miami — a testament to how hard he’s worked to remain on the floor despite chronic problems with his knees. Wade may not have a ton of years left on the court, but he could certainly bring something to this Spurs team for the next year or two, even if they must sign him to a three- or four-year deal to get that production from him.